This week he confirmed the news that Apple had acquired the company Particle. But this is not the only investment that Apple executives have made in recent weeks. Apple also wants to attract employees who work in the application development 'Color', a tool that allows us to share the day with our contacts. 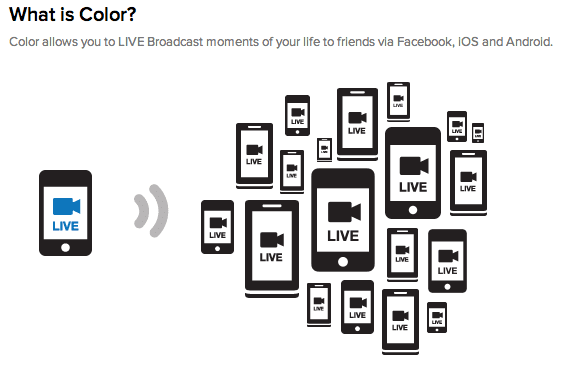 With 'Color' can even broadcast live video. Although initially rumored possibility that Apple had also acquired this company, sources close to the negotiations say that this is not so. Apparently, Apple wants to hire 20 employees of the company (almost all staff) for a price that ranges between two and five million dollars. Thus, Apple would take with them the knowledge and experience of these workers, but 'Color' could retain its brand and patents. All indications are that Apple wants to improve and exploit the use of 'Photo Stream', available on iPhones, iPads and iPods Touch with installed iOS 6.0. Article Apple hires part of the application template 'Color' was originally published in News iPhone .